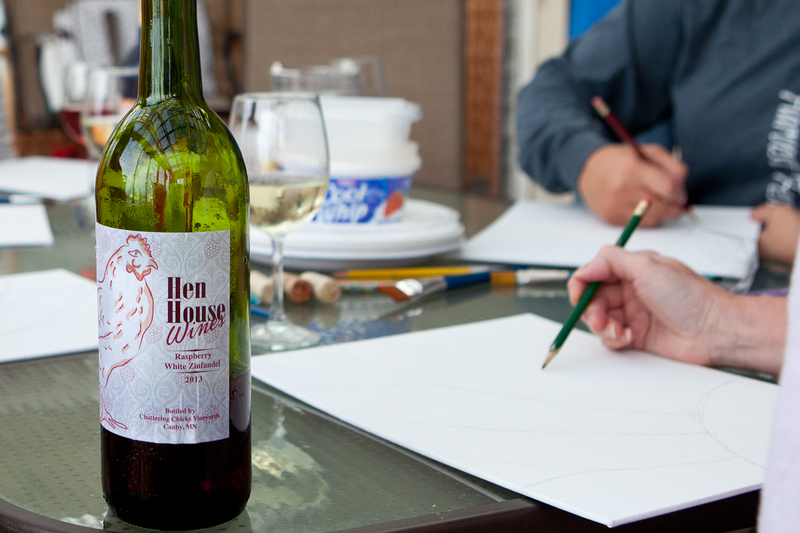 We welcomed the makers of Hen House Wines, along with their signature products, to explore inner artistic qualities. 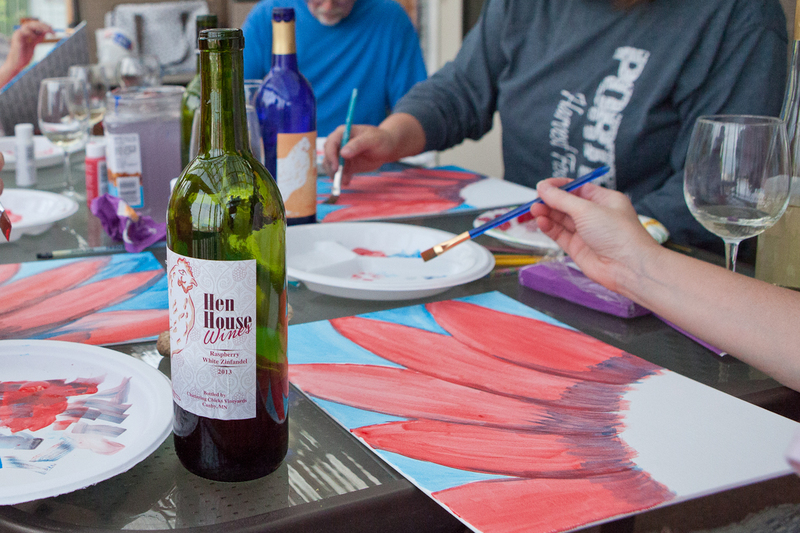 What better activities to pair than painting and wine. Step #1: Open the wine. I was impressed with the efficiency they demonstrated as the official bottle opener fired up the “power tool” style corkscrew. 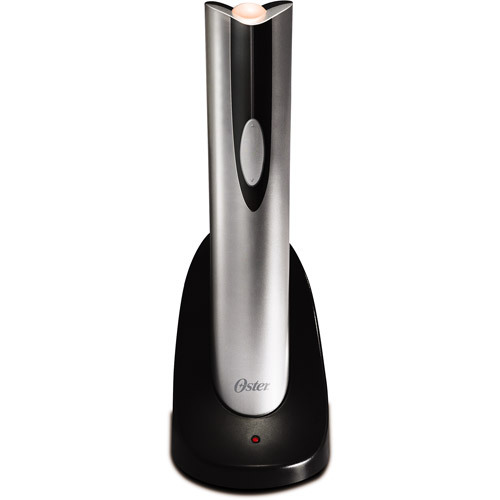 The speed of this handy little device made by Oster meant the first step was a piece of cake. This group means business! Step #2: Lightly sketch the design outlines. Confidence increased with each stroke of the pencil… I can do this! Step #3: Fill in the background with the acrylic paints. 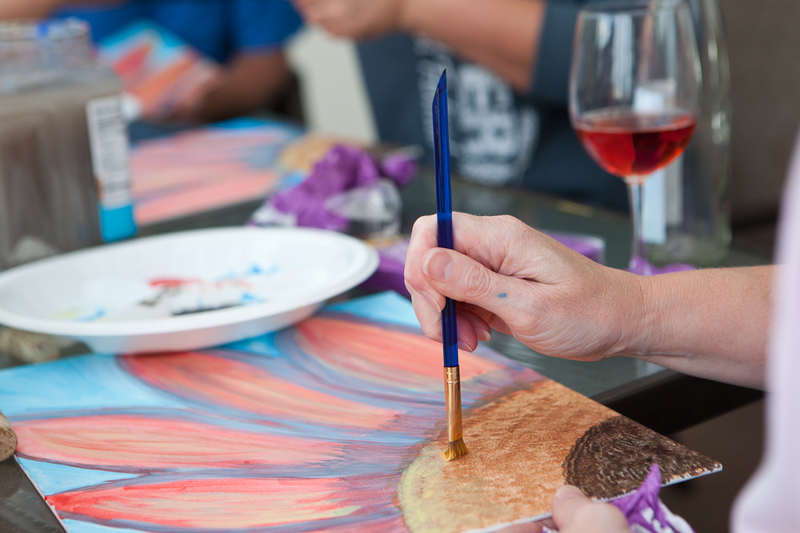 Thin with water, as needed (or wine if it spills onto your canvas… it works). 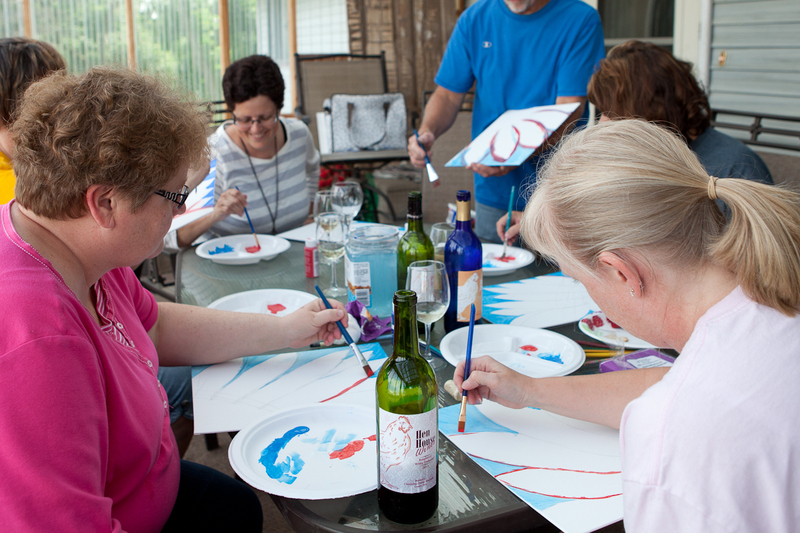 A seed customer pulled in during this step, but the crew just rolled with the flow as they painted and chatted away until their instructor returned. 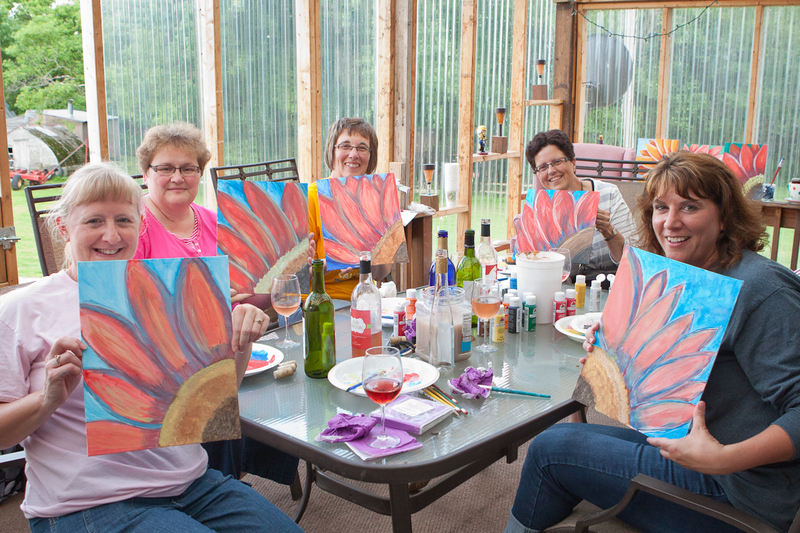 Step 4: Fill in the petals with paint color of choice and use a darker hue to shadow and outline. Accent with lighter hues. This step took a little longer, so there was ample time visit and discuss area current events and history. Step 5: Fill in the center and give it some texture by dabbing with the brush. Ta Daaaa! All in a day’s work. Thanks for the fun evening, especially since I was able to just sit back and drink your intellectually satisfying wines. A-a-a-a-h-h-h ~ This is the life.